At Seid Property Maintenance, we come from a background of commercial and residential property ownership. We have a total understanding of how to properly and effectively maintain and preserve properties, both inside and out. In addition to preserving properties, our property maintenance services can provide a safe, secure and beautiful exterior to bring out the best in your property. Whether it’s plowing a lot, securing a pool, laying sod or installing a garden, our goal is to surround your property with the landscape and security it needs. We also provide maintenance services for commercial properties and general contracting, remodeling and repairs. We offer landscaping and remodeling packages to beautify and add curb appeal to your property. Our property safety options, including snow removal and pool securing, give you peace of mind that your pool or lot is protected, safe and properly cleared or protected. Our dedicated team works consistently to ensure optimal property maintenance and adherence with local ordinances. Our property maintenance services also include snow removal, pool securing and repairs. We know how important it is to provide a safe entry to your home, business or property. We are outfitted with a variety of equipment to provide commercial, lot, sidewalk and truck or plow snow removal. Securing a pool at a vacant or foreclosed property is a critical service. This may include emptying and removing an above-ground pool, locking a pool gate or covering the pool with boards or a tarp. We specialize in creating an outdoor ambience that boosts and emphasizes the natural beauty of your property. We work to create a space that is as functional as it is beautiful. 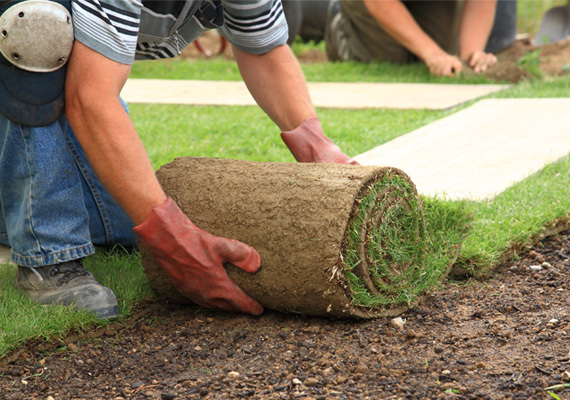 Our services include sod, seed, brick and stone work, garden installation and landscape design.